Hey I get to post something a little different today that I'm excited to share with you! 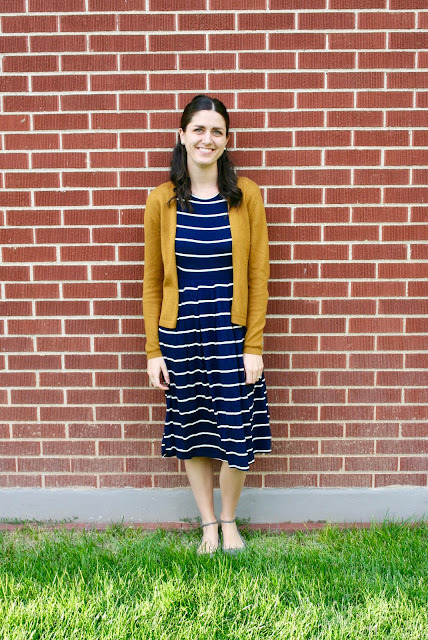 I've partnered with a company called Cleo Madison that sells modest and stylish clothing at affordable prices. Cleo Madison's clothing is not only cute, but it won't break the bank either! They always have free shipping on domestic orders, too, which is awesome. As a busy mom of three, I need clothes that will cover me up since I'm constantly bending over and being tugged at. 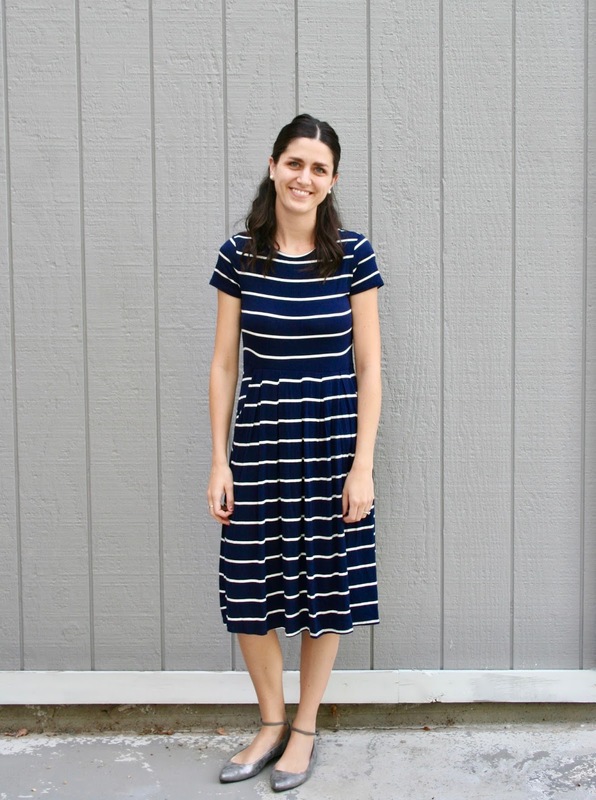 This Iceland Striped Dress does a perfect job of doing just that while still keeping me stylish. And did I mention it has pockets?? Win-win. I love that it has a high neckline and built in sleeves, too so I don't have to worry about layering. And the best part is, when it does gets cold, it looks perfect with a cardigan. If you're looking for some cute, new modest clothes be sure to check them out!